Update your wood railing with contemporary solar post caps. The Arcade Solar Post Cap is one of five modernized post caps in the Deckorators Nouveau Collection. 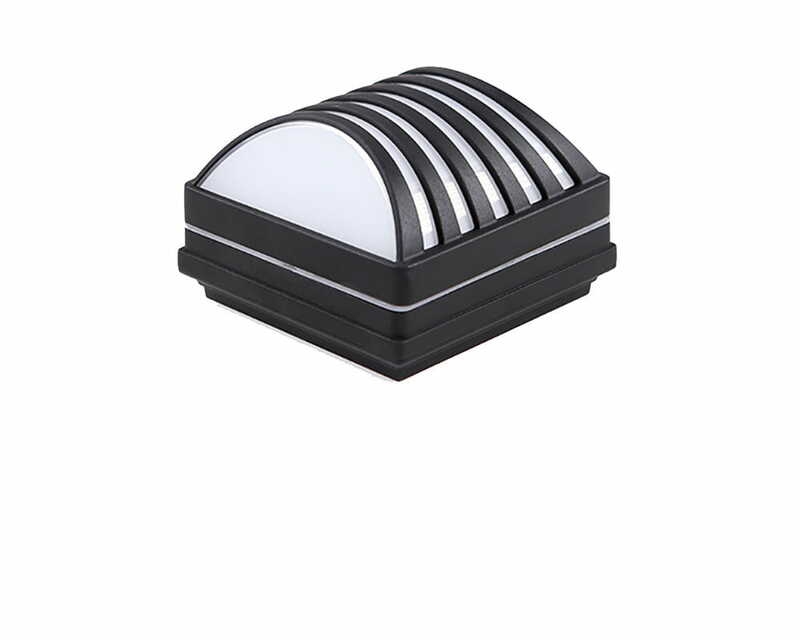 The overarching design on top of the Arcade Solar Cap provides a unique illumination to your backyard. Inside dimensions measure 3-5/8" x 3-5/8"
Can be placed on posts measuring 3-1/2" x 3-1/2"
The Nouveau Collection is unique from other solar post caps because the solar collector is not visible from the outside. Sunlight passes through the frosted lens to the solar collector inside the cap, which then transfers the energy to the two AA rechargeable batteries inside. At the base of the post cap there is a hole in the center. Using the wood screw that is included in the packaging, attach the solar post cap to the wood post. To access the batteries, remove the lens, twist counter clockwise and lift up. Then remove the solar collector unit by twisting counter clockwise and lifting up. Replace each by inserting and twisting clockwise. 3-5/8 in. x 3-5/8 in.